Eye exams for contact lenses include special tests that typically are not performed in routine eye exams for eyeglasses. So if you are interested in contacts — or you already wear them and want to have your contact lens prescription updated — make sure you say so when you schedule your appointment for an eye exam. This will ensure your exam includes extra time for your optometrist or ophthalmologist to perform additional tests needed for a proper contact lens fitting or prescription update. Also, be aware that it's usually more convenient and economical to have your general eye exam and your contact lens exam performed by the same eye care professional (ECP). If you have these exams performed by different ECPs at different locations, the practitioner performing your contact lens exam may want to repeat certain tests already performed during your general eye exam, and this might entail additional fees. This is because the second ECP is responsible for the health of your eyes during contact lens wear, and he or she may wish to verify the health of your eyes and the accuracy of your eyeglasses prescription to have the best data possible to perform a safe, successful contact lens fitting. Duplicate testing is especially likely if the ECP performing your contact lens exam does not have access to the record of your general eye exam performed by the first doctor. 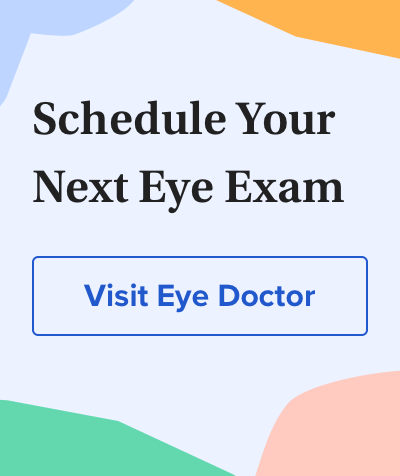 During your comprehensive eye exam, your visual acuity will be tested using an eye chart, and a number of tests will be performed to determine your eye health and whether prescription eyewear is required to correct refractive errors. After this testing has been completed, your eye doctor will gather additional information so you can be fitted with contact lenses. Watch this video on what causes blurry vision and how we can correct it. You may be asked general questions about your lifestyle and preferences regarding contact lenses, such as whether you might want to change your eye color with color contact lenses or if you're interested in options such as daily disposables or overnight wear. Your eye doctor may also discuss the option of rigid gas permeable (RGP or GP) contact lenses, which often provide sharper vision than soft lenses. Your eye doctor also might ask how you want to correct vision problems related to aging. Some time after age 40, you will develop a condition known as presbyopia that decreases your ability to read small print and focus on near objects. To correct presbyopia, your eye doctor may offer you the choice of multifocal or bifocal contact lenses. Another option is monovision, which is a special contact lens fitting technique where one eye is corrected for distance vision and the other eye is corrected for near vision. Just as one shoe size doesn't fit all, one contact lens size doesn't fit all. Cornea measurements. An instrument called a keratometer will be used to measure the curvature of your eye's clear front surface (cornea). The keratometer analyzes light reflections from your cornea and determines the curvature of your eye's surface. These measurements help your eye doctor choose the proper curve and size for your contact lenses. An eye doctor uses a biomicroscope to inspect the surface of an eye. This type of evaluation is needed before you are fitted with contact lenses. Because the keratometer measures only a small, limited section of the cornea, additional computerized measurements of your cornea may be performed using an automated instrument called a corneal topographer. Corneal topography provides extremely precise details about surface characteristics of the entire cornea. It does this by measuring how the device's light reflects off of your eye. With one version of a corneal topographer, you are seated facing the machine with your forehead resting against a curved brace. Circular patterns of light then are beamed into your eye for analysis. A computer creates and prints out the resulting surface "map" of your eye, with different contours represented by varying colors. Sometimes, corneal topography measurements are combined with wavefront measurements that can provide even more specific information about how well the eye focuses light, identifying higher-order aberrations. These combined measurements can help your eye doctor determine the type of contact lenses that will give you the sharpest vision possible. If your eye's surface is found to be somewhat irregular because of astigmatism, you may need a special design of lens known as a toric contact lens that is shaped to offset distortions of your eye to provide sharper vision. At one time, only rigid contact lenses could correct for astigmatism. But there are now many brands of soft toric lenses. Toric lenses also are available in disposable, multifocal, extended wear, and colored versions. Pupil and iris measurements. The size of your eye's pupil may also be measured. In a simple approach, a card or ruler showing different pupil sizes is held next to your eye to determine the best match. Your eye doctor may hold a pupil gauge next to your eye to determine the approximate size of your eye's pupil as part of your contact lens eye examination. Automated instruments that measure pupil size also exist. These instruments are capable of extremely precise measurements, and some simultaneously measure the horizontal and vertical diameter of your pupil. Similar technologies also may be used to measure the diameter of the colored portion of your eye (iris). Pupil and iris measurements help your ECP choose contact lenses that are of a proper size to fit well and look best on your eyes. Tear film evaluation. Contact lens fittings may also include a tear film evaluation. Your body's ability to produce tears may be evaluated through use of small strip of paper inserted underneath your lower eyelid. You close your eyes for about five minutes, and then the paper is removed. The length of the paper moistened by your tears is measured to assess your tear production and determine if you have dry eyes. Another method of detecting dry eye involves adding fluorescein dye to the tear layer on your eye via eye drops or a moistened paper strip containing the dye, and then evaluating how long it takes for your tears to evaporate. If you have a severe dry eye condition, you might have to avoid or discontinue contact lens wear. But in cases of contact lens discomfort due to mild dryness, special contact lenses for dry eyes may enable you to wear contacts safely and comfortably. Evaluation of your eye's surface and contact lens fit. The health of your cornea will be evaluated using a biomicroscope (also called a slit lamp). This lighted instrument provides a highly magnified view of the cornea and other tissues to enable your eye doctor to evaluate the health of the front of your eyes and detect any changes caused by contact lens wear. The biomicroscope also is used to evaluate the fit of a trial contact lens, because it enables your doctor to observe the alignment and movement of the lens as it rests on the surface of your eye. When trial lenses are used, you typically will need to wear them a few minutes so that initial tearing of the eye stops and the lenses stabilize. Your eye doctor can then make a proper evaluation of how the lenses fit without the presence of excess moisture caused by tearing. In follow-up visits, your eye doctor may stain your eye with fluorescein to check for defects and make sure your contact lenses are not damaging your eye's surface. You usually will need to remove your contact lenses before this test is performed. After finding contact lenses that fit properly, are comfortable for you, and provide good vision, your eye doctor can write your contact lens prescription. This prescription will designate contact lens power, a shape matching the curvature of your eye (base curve), and diameter. Usually, it takes two or three follow-up visits to complete an uncomplicated contact lens fitting. After that, you should have annual contact lens exams so your eye doctor can monitor the health of your eyes. In some cases, you may need more frequent exams or additional follow-up visits. Keep in mind that if you wear contact lenses, your annual eye exams typically will cost more than a routine exam for someone who doesn't wear contacts, due to the additional contact lens-related tests that are included. Michelle Stephenson also contributed to this article.